While we were already expecting this, now a report from China is also saying that the Honor 8 smartphone will be unveiled this month - June 25 to be precise. It will go on sale sometime in the first half of July, the report notes. As for specs, latest rumors say the phone is powered by Kirin 955 chipset and sports a 5.2-inch full HD (or better) screen. RAM is 4GB, while a 3,200mAh battery (that supports fast charge) is there to keep the lights on. In terms of camera, there's an 8MP front unit and a 12MP dual rear camera set-up. 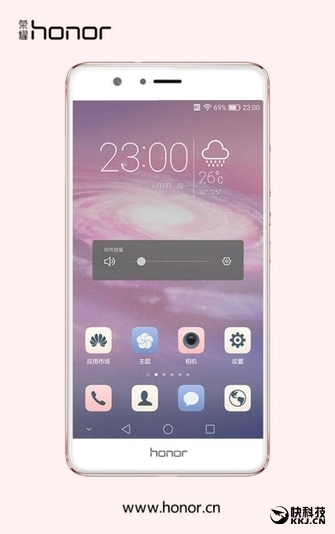 As for price, the handset will start (4GB/32GB version) at RMB 1,999 (around $305), with the top model (4GB/128GB) costing RMB 2,799 (around $425). oh yes there are too many flagships these days so if you don't improve upon your own each day you will be left behind. i just read bout galaxy s8 which will come probably early next year. no phone can be compared i swear.